I changed my email address after setting up my account and even though I change my email in my account settings, it seems to default to my original email. I do want the notification to go to me...just not to the old email. The Recipient E-mail box is where the submission emails being sent. 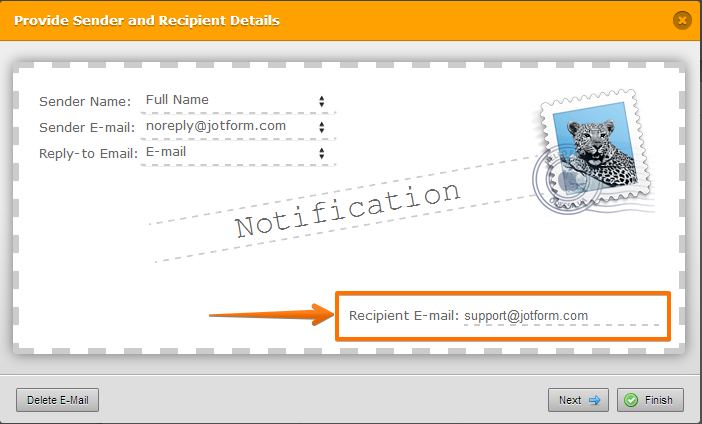 So, change the email address in the Recipient E-mail box to your target email address.